River flowing from Hermon south of Damascus, where it turns to the southeast and flows into the Lakes of the Marj. Thomson identifies the stream with Al-A'waj; G. A. Smith and Socin (in Baedeker) with Al-Sabirani, which unites with the A'waj before it reaches the lakes. Being advised by the prophet Elisha to bathe in the Jordan, Naaman demurred, exclaiming: "Are not Abana and Pharpar, rivers of Damascus, better than all the waters of Israel?" (II Kings v. 12). 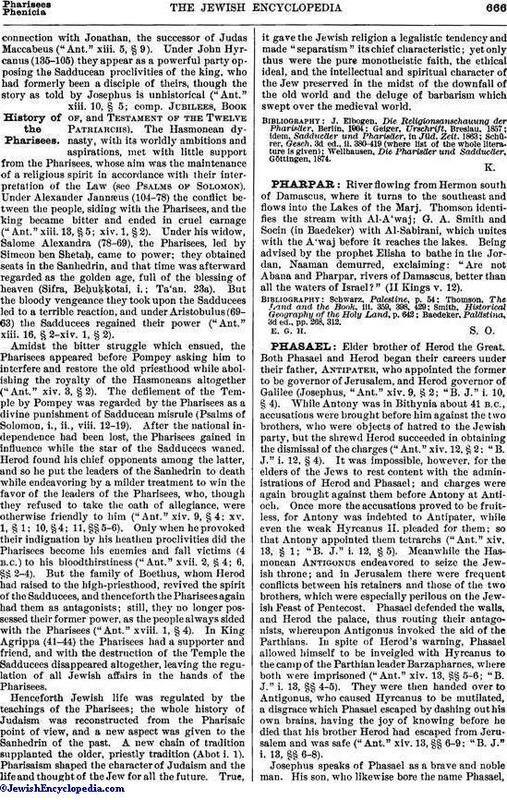 Baedeker, Palästina, 3d ed., pp. 268, 312.